Uncertainty still surrounds the outlook for London’s financial cluster, but the expected impact is looking far less worrying than it did back 2016. In July, the Bank of England’s Deputy Governor, Sam Woods, told Bloomberg News he expected financial firms in the UK to relocate between 5,000 and 10,000 jobs on “day one” after Brexit. This implies that more jobs would follow in the long-term, although in subsequent years one would expect new non-EU business to emerge to replace lost revenue. The Bank’s figure tallies with a survey of financial firms by Reuters, released in March, suggesting 5,000 jobs could relocate. Mr Woods added: “I think it will be at the bottom end of that range. If anything, it might be slightly below that.” Interestingly, his comments were made after it became widely known that the UK would not be seeking single market membership for services. This came in the same month that Goldman Sachs announced that they would occupy all but half a floor of the new headquarters they have under construction in London. There had been widespread expectations the US bank would release a large amount of Brexit-related sub-let space. The threat of Brexit relocations from the financial sector has been a shadow hanging over the London economy for the last two years. In 2016, forecasts of 100,000 job relocations had been quoted. However, slowly but surely the forecasts have gravitated towards “the bottom end of the range” as Mr Woods puts it. Since the referendum, output from the financial sector, according to ONS, has been broadly flat; however, there are signs it is starting to pick up. The three months to May saw financial output rise by 0.3% compared to three months earlier, a marked contrast to the final months of 2017 when the sector contracted. Given these tentative signs of recovery, the government’s decision not to seek single market membership for finance is a disappointment. While, 5,000-10,000 jobs is the equivalent of just 1.3%-2.6% of London’s financial workforce, it is a shame to lose any jobs. Oliver Wyman estimate that around 25% of the UK financial sector’s business comes from the EU. Were the country to lose all of that business, a 25% fall in financial sector leasing deals in Central London would be the equivalent of losing 12 days’ total market take-up per year – based on activity over the last decade. This is not welcome but it is manageable, particularly when considering that London would only see twelve lost days in the first year. With the emergence of new trade relationships for the UK, the finance sector would slowly replace the lost business. Moreover, the UK leaving the EU does not per se mean the end of the entire 25% of European business. In the short-term some firms will use back-to-back deals to continue trading. 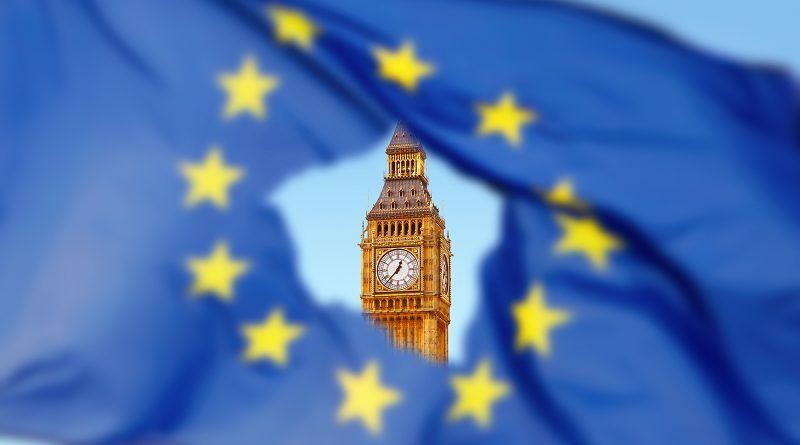 Further down the line, once the UK has formally left the EU and tempers have cooled on both sides, it could become politically easier to agree a financial services trade deal that maintains some lines of business. If this occurs during the transition period after March 2019, it would further soften the effect on the economy.